Get your battery tested and replaced in Bedford, TX - near Dallas, Fort Worth, Arlington, and Irving - at the Grubbs Nissan Service Center. The battery is the all-important source for all things electrical in your vehicle, and our certified technicians are committed to ensuring you have a full charge for running whatever you need to operate your automobile. You should have your battery examined and tested every 3,000 to 6,000 miles, and we are happy to do that for you here at the Grubbs Nissan Service Center. How Do I Know If My Battery Needs Replacing? There are several signs that point to a battery that is dying out. If you frequently need jumpstarts or your engine is slow to start, you should definitely let us take a look at it. Other symptoms include power accessories working slowly, dim exterior headlights, flickering car lights, and a "check battery" warning light. 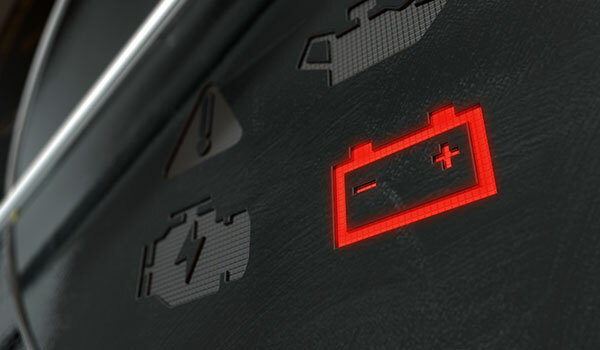 In addition to regular inspections by the technicians at Grubb Nissan, you can do several things to make sure your battery lasts as long as possible. Keep the terminals free from corrosion. Ensure the battery is securely fastened. Turn all vehicle lights off when you leave it. Why Get Battery Service from Grubbs Nissan? Bring your vehicle to Grubbs Nissan for battery service because you'll get true peace of mind knowing that your ride is in the hands of experienced professionals who know the exact battery you need for a reliable crank every time. Schedule your battery test appointment today online or feel free to give us a call and a service team member will get you set up with a day and time!